As for nature in Lanzarote; The volcanic landscape is excellent, and the places including Timanfaya National Park, El Golfo, and Los Verdes caves is worth a visit and see in Lanzarote together with superb, golden sandy beaches. A visit to the Timanfaya National Park is one of the best things to do and see in Lanzarote. 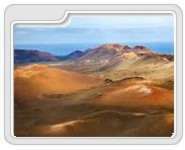 In addition to the attractions of Timanfaya National Park; the surroundings offer many interest things such as a ride around the volcanos on a camel or the unique crops at La Geria. The coastal area of Los Hervideros is where lava and the Atlantic have converged to create a tormented rockscape and finally the spectacular emerald green crater of El Golfo. 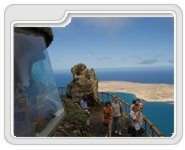 Below you may find the popular attractions and activities in Lanzarote for the nature lovers. Timanfaya National Park is one of the best things to do and see in Lanzarote. The park is a World Biosphere Reserve and consists of several volcanic lava fields and an ochre-colored â€œlunarâ€ landscape. 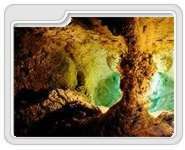 Cueva de Los Verdes is a vast volcanic landscape located in the north of Lanzarote. 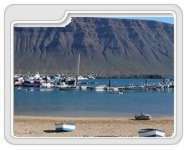 La Graciosa Island is located on the north of Lanzarote and one of the best places to see as by daily boat trips. The beaches in La Gracia Island are also very attractive.